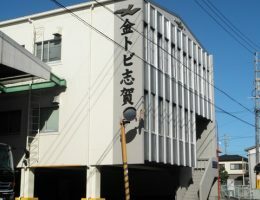 Established in 1917, KINTOBI SHIGA CO., LTD. specializes in producing and selling wheat flour for udon noodles. Our wheat flour is always milled gently, slowly and with care. 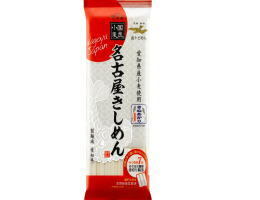 Dry noodles are made with reliable techniques accumulated over 60 years and original noodle making method learned from handmade udon. 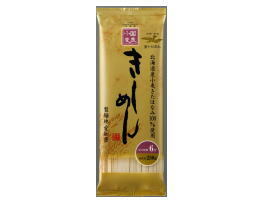 It is characterized by the original sweet scent and rich flavor of wheat. 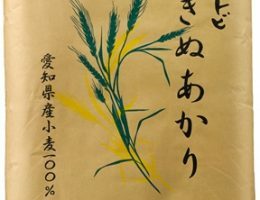 This is a business use wheat flour that demonstrates the characteristics of Aichi Prefecture wheat "Kinuakari" to the maximum. The silky, bright and beautiful dough is extremely moist, which creates a surprising texture.